He’s a husband and father of three, Architect at xMatters, a member of the expert committee that designed the swagger specification for web APIs, an occasional conference presenter, leader of the local Java Users Group, an open source software contributor, and he occasionally builds things like “Glitch” in his “spare” time. Paul Hill keeps himself very busy and there’s no slowing him down. That’s why he’s our Tectorian of the Week! Paul is a very proud Canadian, originally from New Zealand. He’s travelled the globe and lived and worked in London where he met his wife. I wouldn’t say they’ve “settled down” in Victoria, but they have chosen this city to live their very busy lives in. Paul blames his addiction for streaming games on KIXEYE Canada where he was an Architect. Today, he helps a very talented team of engineers design systems that provide feature-rich emergency notification to much of the fortune 500. Paul has built healthcare claim processing systems, ACH cheque transaction warehousing systems, and most recently, an interactive game streaming system called Glitch. Glitch is a place where you can go to watch live player broadcasts and mess with their game as you watch. 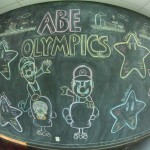 It’s a platform where gamers can connect to an interactive audience, providing a unique level of audience participation. In other words, it’s a stage for players to entertain viewers. Viewers who can reach into the game and effect the player. The audience is now part of the game, and the possibilities for unique experiences are endless. Glitch started with the idea that watching players broadcast could be more than a passive experience. “After all, it’s a video game, it’s all ones and zeros, so why can’t I change the game? Why can’t I tie the quarterback’s shoelaces before the big play? Why can’t I help her find the resources she needs to survive the night? Why can’t I turn his plasma rifle into a banana and his armor into a ball gown?” questioned Paul. 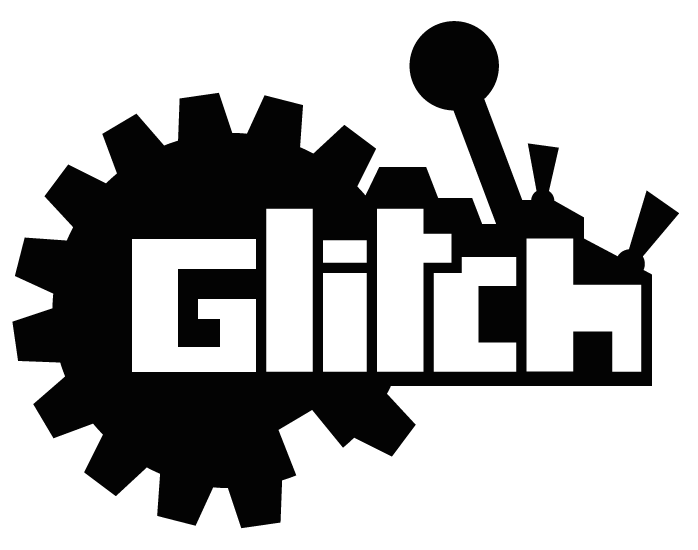 You can view the demo here, and Glitch itself here. It’s all powered by an API that lives here. To get involved, you can visit the Kickstarter page and back the project for as little as $1. Paul is also looking for someone to spice up the kickstarter pitch video, and local hackers who can create mods for host-your-own server games. Contact tbousfield@viatec.ca if you’d like to get connected with him. Rod Olafson: AKA the extraordinaire or SDG (Software Development Guru / So Damn Good). Well, he may have never been called these, but we’re labelling him now. Enjoy the titles, Rod. If a history book were written on the growth of Victoria’s technology sector, Rod would tag along in each chapter. He’s been in the midst of it all and seen now-giant software companies at their earliest stages. He’s also been involved with VIATEC when they helped transition his company, Magic Kite Software, to a federal corporation. All of this is why he’s our Tectorian of the Week! He was born in Vancouver and spent his young, formative years in Townsville, Australia until moving to Victoria when he was 16. Since then, he’s had a life of curiosity, excitement and adventures shaping his impressive career in our technology community and growing a beautiful family in Canada’s paradise. While in Aussie land, Rod’s father worked for the Australian Institute of Marine Science (AIMS). This is where Rod had his first opportunity to play with computers – a mainframe machine owned by the Institute and accessed via paper-printing terminals. Old school when you think of it now, but at the time Rod was intrigued and it opened up a world of possibilities. Before he even enrolled at university, Rod managed to get into the software community by writing a commercial product for UVic’s Biochemistry Department to track grant money. Pretty impressive for a guy fresh out of highschool! Also before university, he scored an 8-year gig working for what is now the AXYS Group. While there, he wrote QUIKMap, which he believes to be one of the first ever graphical geographic information system on a microcomputer. Rod left AXYS in 1990 to enroll at the University of Victoria. Amongst his professors was Bjorn Freeman-Benson, who was also deeply involved in the Object-Oriented (OO) movement. 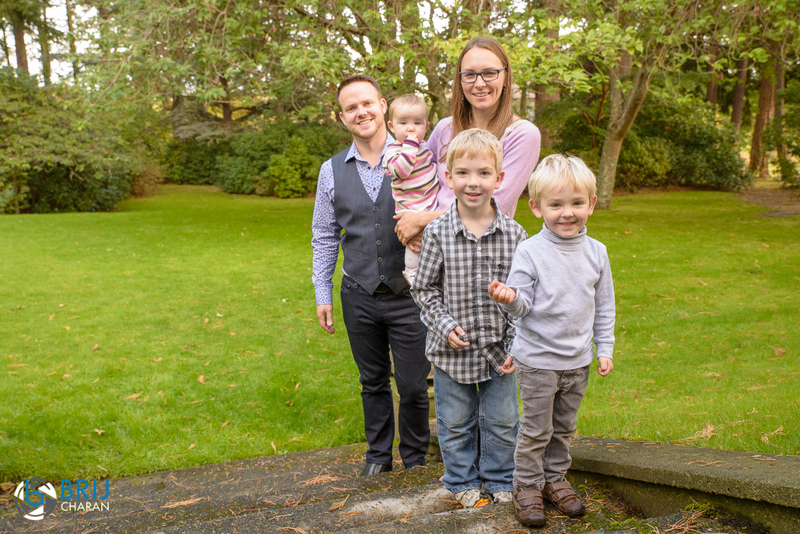 When Rod graduated from UVic with bright, hopeful eyes, Bjorn was running an office for Object Technology International (OTI) and hired Rod as the Development Team Lead. 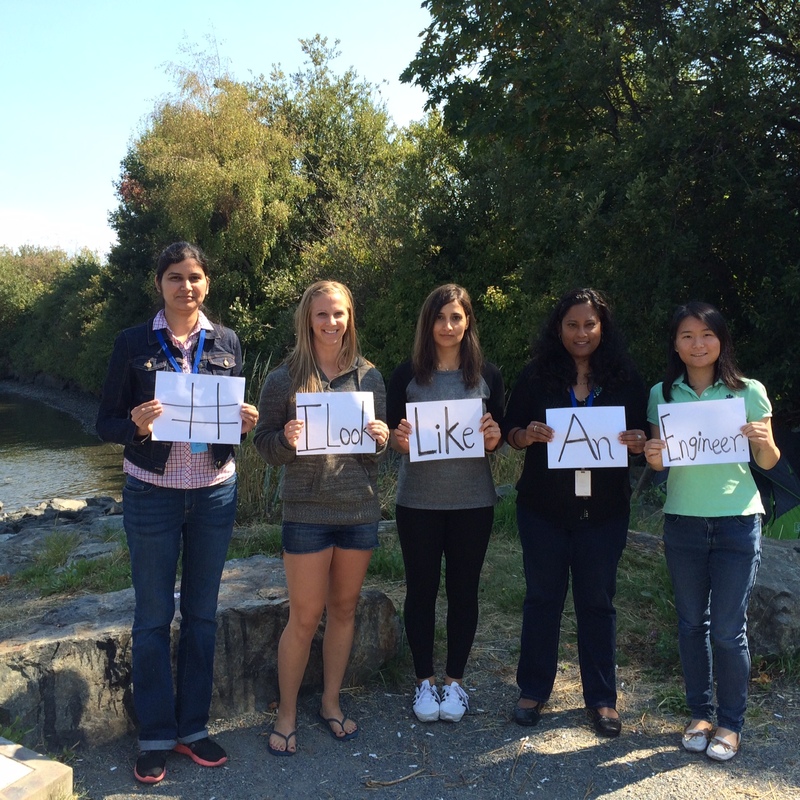 OTI’s focus was Smalltalk development and their clients were the likes of NASA, Mitsubishi, Honda, and Credit Suisse. IBM eventually bought OTI and the various offices were slowly closed down. 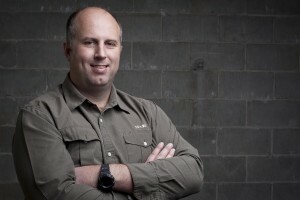 Rod had an opportunity to move to an IBM office elsewhere but chose to stay in Victoria, a decision that would be repeated throughout his career. There’s no place like home! From OTI, Rod joined Voice Mobility as the Development Manager where him and his team of outstanding developers designed an amazing new telephony system from the ground up. After Voice Mobility, Rod continued the Development Manager role in 2000, but this time with ACD Systems (now ACDSee), one of the largest and most respected independent digital image editing and management companies in the world. Rod moved on to start Magic Kite Software with Ben Morris, another developer. Their biggest contract was with Streetlight Technology, who had an amazing piece of hardware aimed at saving energy in streetlights around the world. Sourcerer was Magic Kite’s product, a system to manage software development projects. Next, Rod worked at CMaeON as Chief Technology Officer with CEO Tim Vasko for six years. They developed a system for rapidly building multi-tenant, low-bandwidth, web-based applications using a gadget-based framework. (Try saying that 3 times fast). in other words, the system they created has proven itself in finance, pharmacy, and real estate. Remember Rod’s father that worked at AIMS? Well, he became a biochemist at UVic and was approached by three students in 2002. The students wanted to build a Laboratory Information Management System (LIMS) for his protein sequencing lab. In an odd irony, Rod joined GenoLogics in 2013 as their Director of Software Development. GenoLogics was purchased in September 2015 by Illumina, the world’s leading provider of DNA sequencing equipment. Rod has stayed in Victoria throughout his career for selfish reasons. His family, of course, but also the vibrant software community. MediaCore has been acquired by Workday! Big news for the MediaCore team – who have achieved great things and surpassed many challenges in the 5 years since the company was founded, and also fantastic news for Tectoria – as MediaCore plan to continue to grow their team right here in Victoria! MediaCore offers a powerful video platform that enables educational institutions to easily capture, manage and share educational content and drive real learning results. The company was started in 2011 by founders Stuart Bowness, Nate Wright, Anthony Theocharis and Damien C. Tanner, who all shared an idea of transforming the way people teach and learn with video. MediaCore’s journey has involved over 100 institutions and companies adopting their platform, being named “Employer of the Year” at the 2015 VIATEC Technology Awards and now joining forces with Workday. Additional highlights include raising a large round of finances in 2014, volunteering many team members to help with the successful creation of Ladies Learning Code in Victoria, and dancing to dubstep at a Hong Kong night club. Joining Workday opens up a realm of new possibilities for MediaCore, and one of their first new ventures may involve using their video platform to enhance the world of workplace training. 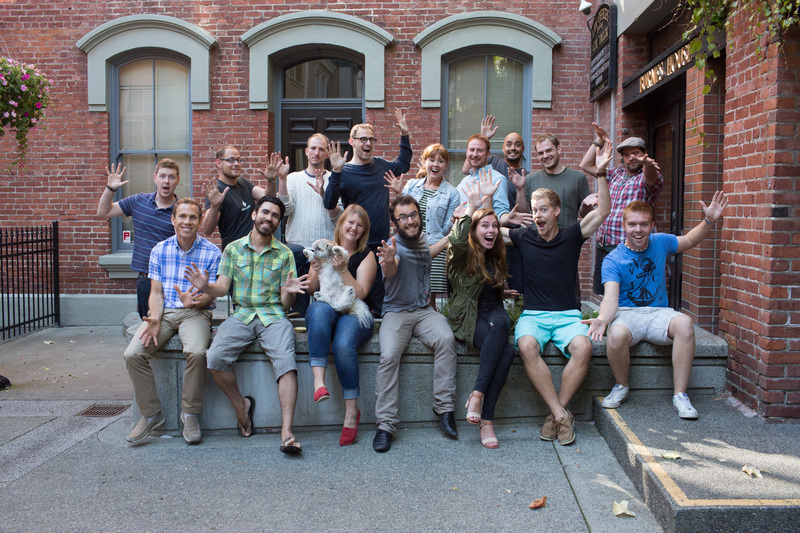 The team has big plans for the future – plans which involve them continuing to grow their amazing team in Victoria! To learn more about this fantastic local success story – hear from MediaCore team themselves. You can also read a personal account from Founder/CEO Stuart Bowness HERE, or get more of a sneak peak at what MediaCore might be up to next: HERE & HERE. 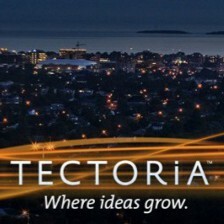 Congratulations MediaCore, keep helping to drive Tectoria forward! You won’t believe what the panelists called Ben Kerr during Experience Tectoria’s Showcase Showdown! 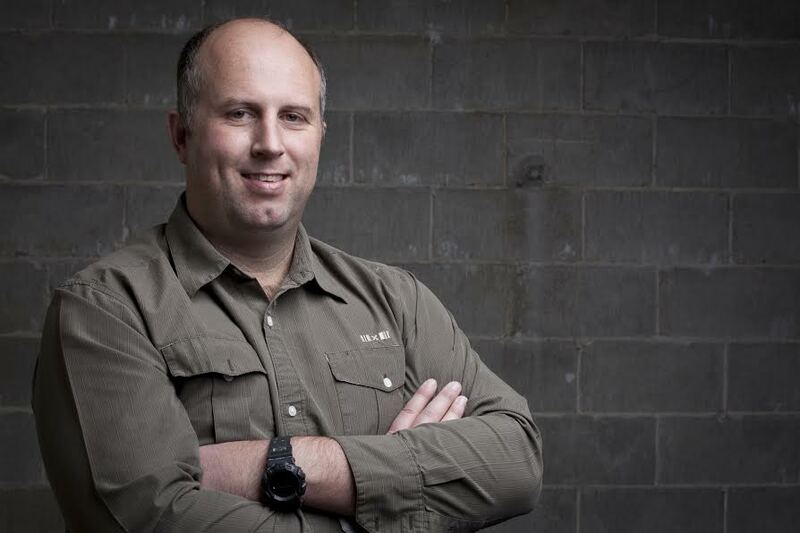 Ben Kerr is a Victoria native, mountain biker, foodie, father, CEO and Lead Analyst for Foundry Spatial, and our Tectorian of the Week! Foundry Spatial provides environmental analytics SAAS tools, with a primary focus on water. They offer customers complete, streamlined environmental and watershed information – meaning they can answer questions that directly impact the viability and sustainability of both a business, and its surrounding environment. Ben started the company out as a one man environmental consultancy, or as he recalls, “me in my garage with a bunch of spiders.” Over the last 6 years Foundry Spatial has grown steadily, and now they’re rolling out a national service at the end of the year, that will provide a network of waterway understanding all across Canada! Why would someone need to know how much water is in a river? The Showcase Showdown panel asked Ben the same thing during Experience Tectoria. His answer really helped to win over everyone in the room, because of the information he provided, and the affable manner in which he responded. 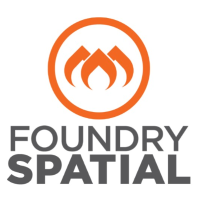 What’s next for Foundry Spatial? Born at age 7, Ben knew that one day, he would grow up to stare at rocks in a serious way. One day, he found the best gravel he had ever seen, but his bucket was broken. His desire for gravel persists, driven by the one that got away.